We know that the one thing you never have enough of is time. Wasting it while you try to reconcile your settlement, corporate actions or collateral management movements and breaks is frustrating and doesn't always yield the results you’d hoped for. 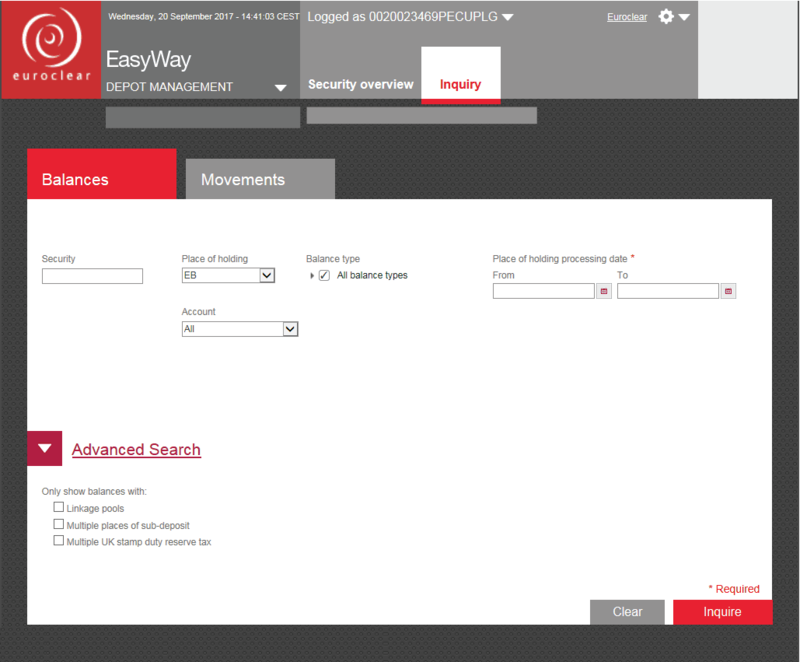 We are delighted to introduce the solution to your reconciliation problems: EasyWay Depot. 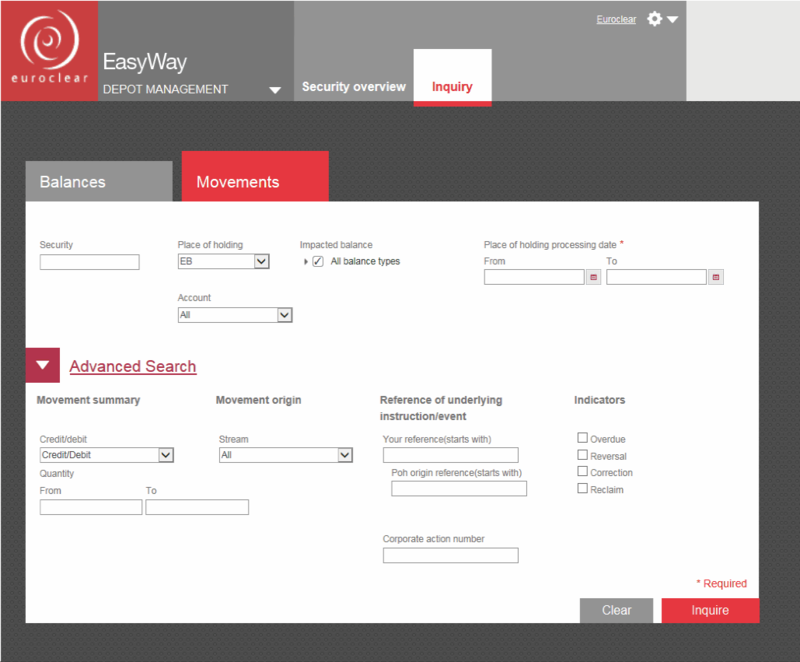 We developed EasyWay Depot as a tool for reconciliation teams across firms. And because we understand that desks do not always share the same needs, we have built in a number of ways for you to access your data. The security view – displays your complete balance across accounts for a particular security. You can drill down further into individual balances. The inquiry view – allows you to search for movements on balances using detailed criteria. Provides detailed lists with balance and movement details. The account details view – the drill-down from both security and inquiry views. Provides more detailed information on movements and balances e.g. settlement reference.